When I heard the opening strains of A Needle In Your Eye, I was wondering where this Arcade Fire b-side came from. 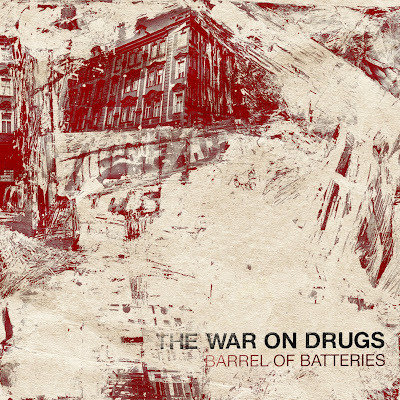 But the artist was listed as The War On Drugs instead. Further listening to their catalog and musical similarities to other artists appeared as well. Particularly lead singer's voice reminiscent of Dylan at times and other times a young Boss. Those of you in Philly, they are playing a show tonight in their hometown at the North Star Bar. Their last EP is available as a free digital download from their label Secretly Canadian. It is composed of 6 demos (3 are short instrumental tracks). The group recently played in SXSW show and is in the process of releasing their full length debut, Wagonwheel Blues, sometime this summer. And once you are are for the EP, you might want to spend some time on the Secretly Canadian site, they have a bunch of MP3's available from other artists they represent as well (Jens Lekman, Antony and the Johnsons, ...). Check out a couple of TWOD's newer tracks on their MySpace profile.